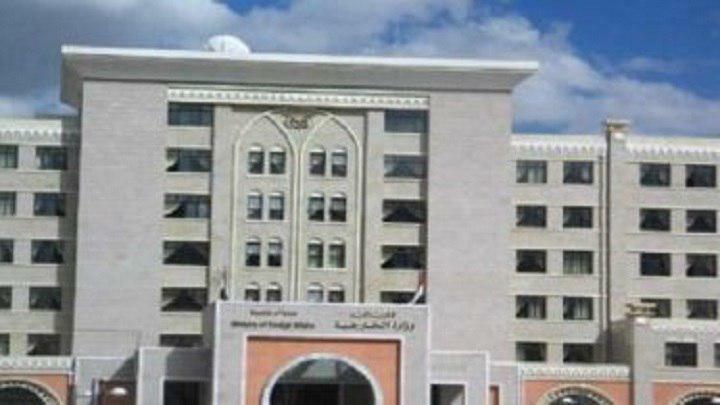 SANAA, April 16 (YPA) -The Foreign Ministry of the National Salvation Government has condemned the continued practicing of collective punishment against Yemenis by the countries of aggression led by Saudi Arabia, the United Arab Emirates, and the exiled Hadi “government”. These invaders are continuing to use starvation, restriction of movement and man-made crises as weapons of war against two-thirds of the Yemeni population. “The states of the US-backed Saudi-led aggression are still practicing the policy of collective punishment through various methods and tools that they possess, topped by using a mercenary government, which is overwhelmed by the shame and dependence that is involved in the implementation of this aggressive policy against citizens in the non-occupied provinces, without any sense of humanitarian responsibility. This asserts repeatedly that they have no legitimacy,” an official source in the Foreign Ministry said in a statement issued on Monday. “This poses a direct threat to the lives and safety of citizens from the northern provinces, caused by the militias and “Security Belt” forces, funded by the UAE occupation, as well as al-Qaeda and ISIS terrorist organisations, which have increased their influence in recent times along with other criminal gangs,” the statement continued. The source accused the government of Hadi of continuing to practise the policy of lying and deceiving the international community. “After the exiled Hadi’s commitment promised the UN General Assembly in September 2016 to pay the salaries of all state employees, only the disastrous decision was taken to transfer the central bank to Aden province, and subsequently the so-called “Finance Minister” and the “Governor of the Central Bank” spoke the same lies in their meeting with the cash fund manager,” he said. Eventually, the Hadi administration called on donors in order to pay the salaries of government employees, but much of these funds were lost to corruption since then. “The corrupt mercenary government trades the humanity and living conditions of the citizen, and even enjoys creating hardships and harming the citizens in their movement and life,” he added.